Discover the new game by Maxime Rambourg! Welcome to the Arena of the allpowerful, where only the greatest mythological heroes fight to please the Gods. 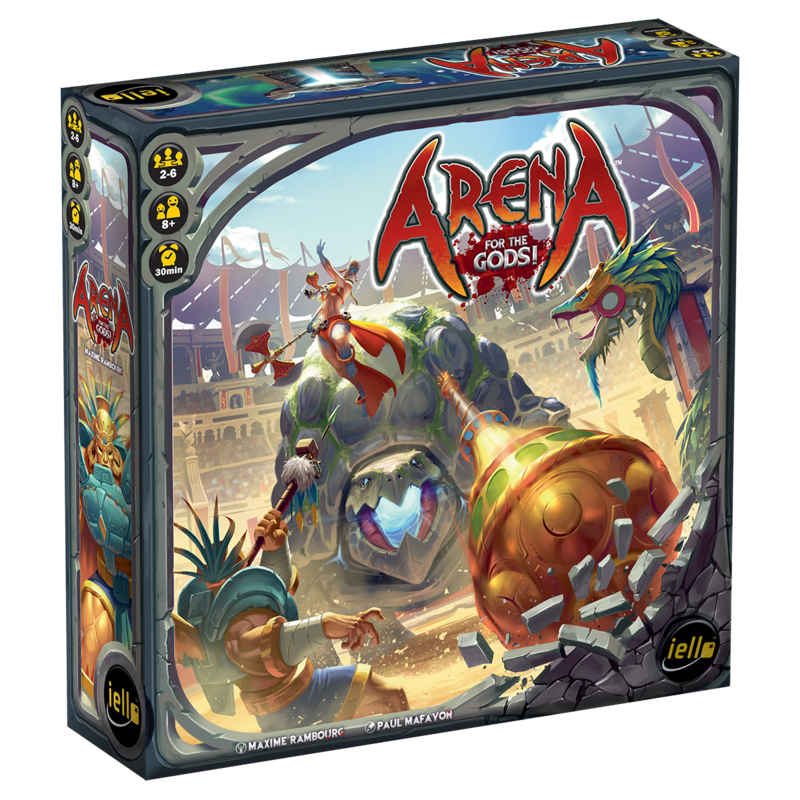 With Arena: For the gods!, dive into a universe in which heroes from six different mythos fight together for the entertainment of their gods. Handpicked by a divine hand for a battle to the death, you’re assuming the role of one of these powerful fighters. 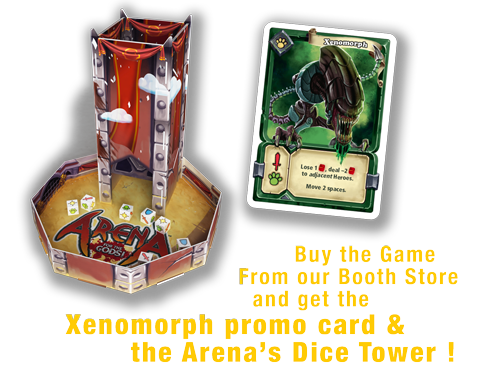 Bid on the best weapons with your life and then use the dice wisely to activate the most powerful attacks! The first player who dies puts an end to the game – and the surviving hero with the most life points left wins. The plethora of equipments and choices in the game will bring a new experience to each replay! on Thursday from 16:00 to 18:00, Friday from 15:00 to 17:00 & Saturday from 16:00 to 17:00.